Wn. Tu22 Le Mont Lénigo, K.V.G.U. 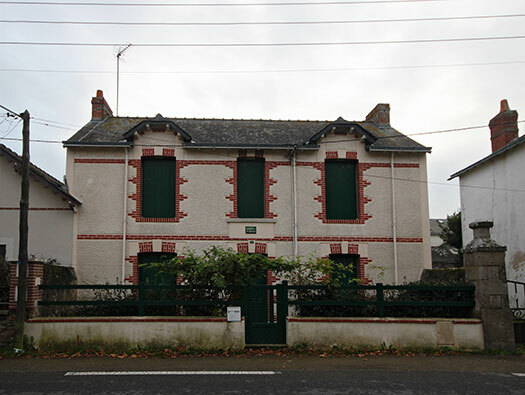 La Turballe puis La Baule, K.V.A. 'C2', K.V.G. Loire. Wn. Tu22 Le Mont Lénigo. 1 x R600b ringstand for 5cm KwK. 1 x 5cm KwK L/42 Pak gun. 1 x R502 twin gruppe bunker. R502 twin gruppe bunker [not in the records]. 5cm KwK L/42 Pak gun. 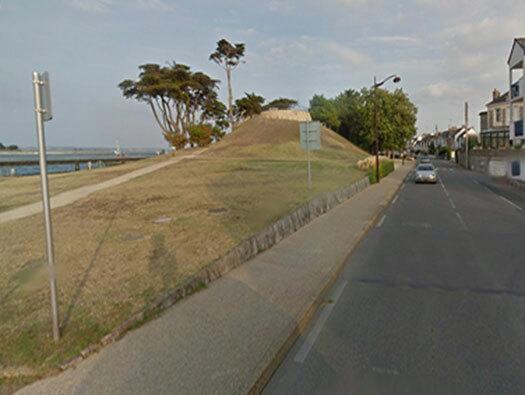 A large mound (called Mont) on the water front at le Croisic where a small port and ferry crossing to the peninsular of Pen Bron. Vf shelter with a side window. Inside an R501 shelter very like the Vf here. Vf shelter. 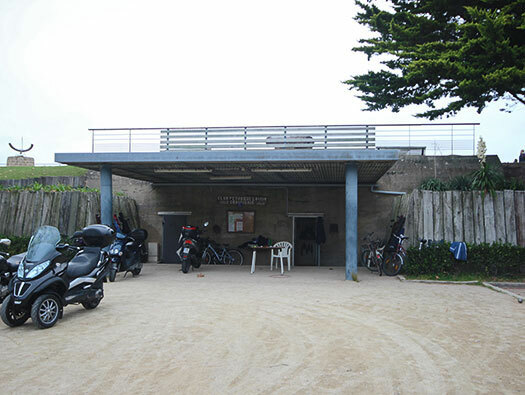 The front face of the bunker set into the Mont. Note the added on cement camouflage. 434p01 double door. 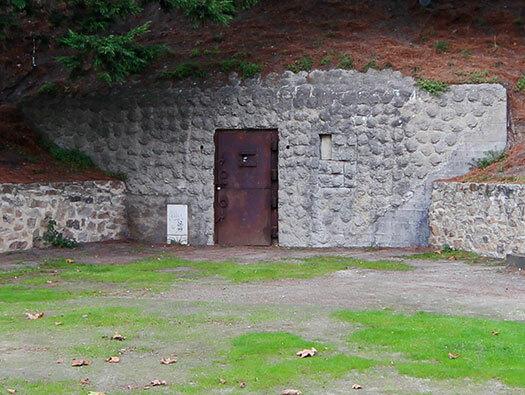 In two part main protective bunker door. On to the top of the Mont and a viewing platform. This may be the site of the R600b ringstand. R600b ringstand for a 5cm KwK gun. The view towards Pointe de Pen-Bron. 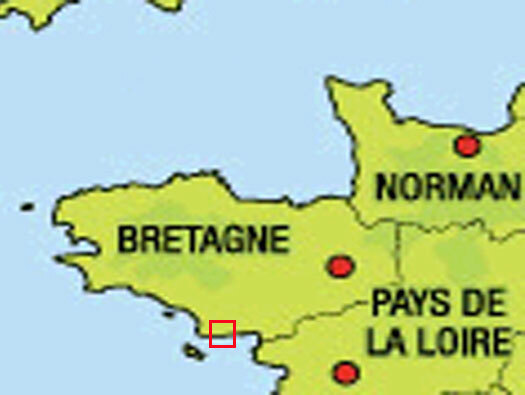 le Croisic & Pointe de Pen-Bron. The top of Le Mont Lénigo. The top of the R502. R502 twin group bunker with a small room for a periscope (the small red dot). Periscope fitting in an R502 roof. 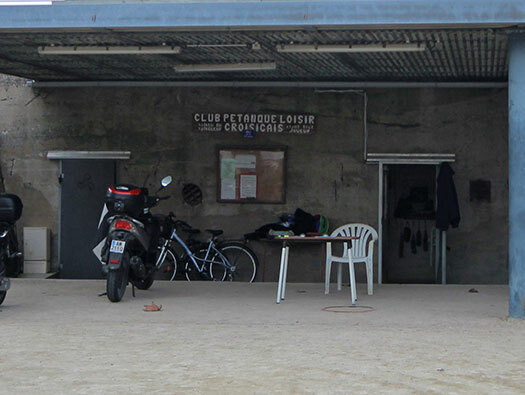 The R502 now the Petanque club rooms.